‘Watching You Think’ U.S. Release Party at Joe’s Pub in Nyc!! 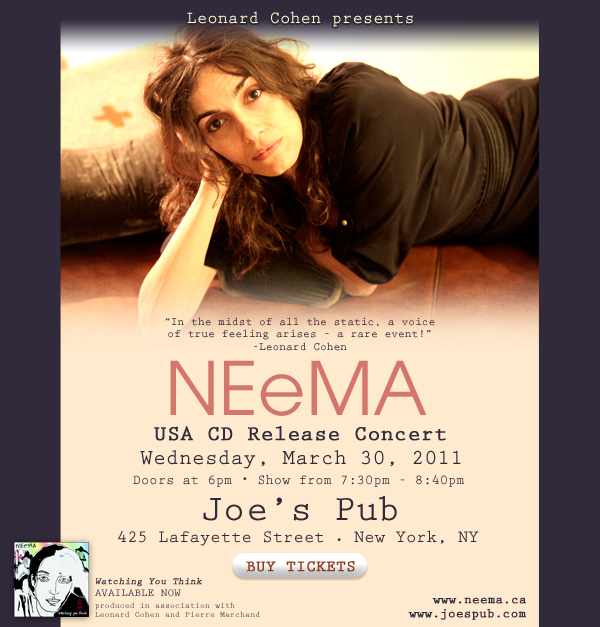 Leonard Cohen Presents NEeMA’s CD Release Concert at Joe’s Pub in New York City on Wednesday, March 30! !